Conventional loans, synonymous to conforming loans, adhere to the same process as conforming loans. For instance, they must follow guidelines and significant loan limits set by Fannie Mae and Freddie Mac. Yet, they differ from other government regulated loans in that they are not regulated by government agencies such as the FHA, USDA, or VA. Nonetheless, this does not stop them from being less desirable or attractive. After all, they make up 65% of the American housing market. 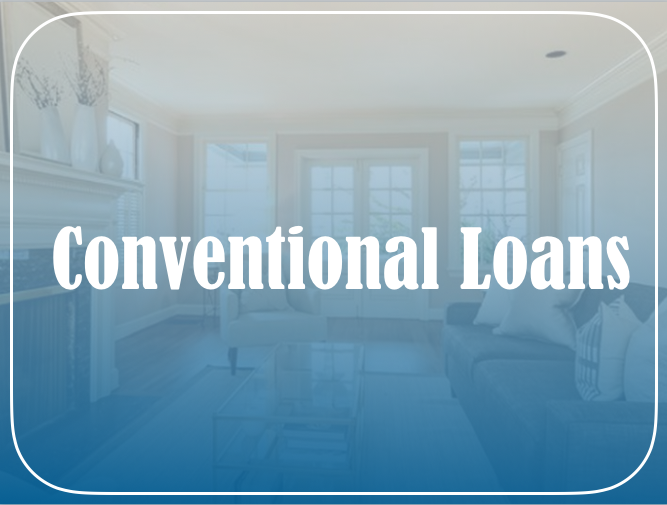 The nature of conventional loans (also known as to safe loans) offer borrowers low rates and flexible guidelines. Although they attract a wide demographic, the loans are especially attractive to first-time homebuyers with a good FICO credit score. In order to qualify for the loan, borrowers must meet the requirements set by Fannie and Freddie. Additionally, they must meet the conventional loan’s loan limits. In 2018, the FHA announced that the loan limits for conventional limits would change. The limit has increased from to $453,100 in low costing regions. In high costing areas such as Los Angeles and San Francisco, the conventional loan limit ceiling has increased to $679,650. The loan terms for conventional loans are 10-30 years. It is important to note that the shorter the loan term, the higher the monthly payment. The borrower has the option to choose from a fixed rate loan or an adjustable-rate mortgage. It would be wise for a borrower to get a fixed rate loan if they choose a 30 year mortgage loan term. Such decision is helpful in covering the costs and budgeting wisely. Henceforth, the borrower is not shocked to find out any drastic payments are required to pay off his mortgage. On the contrary, it is a wise choice for a borrower to get an adjustable-rate mortgage (ARM) if they choose not to stay in the house long. Because they are fixed for short periods of time, adjustable rates allow for lower interest rates. Due to the nature of ARM, the homeowner can save thousands by paying low interest. Nonetheless, it is important to note its volatile nature. The rate can adjust by moving up or down if the borrower does not sell at the end of the loan’s life. Additionally, conventional loan rates are also heavily based on credit scores. Applicants who successfully complete a mortgage have an average credit score of 720. The minimum accepted FICO credit score is 620. Furthermore, buyers with higher credit scores receive lower interest rates. For instance, a home buyer with a 640 score and 20% down will be offered about a higher rate as opposed to a buyer with a 740 score. Conventional loans allow down payments of 3-20%, which affects the interest rate and final loan costs. For example, if a borrower makes a large down payment, their monthly mortgage costs are expected to be lower. On the other hand, if the borrower makes an extremely low down payment, their interest rate will be higher to compensate for a small downpayment. Mortgage insurance for borrowers with low down payments can be more expensive. Down payments of 20% can eliminate the mortgage insurance altogether. In some cases, a downpayment gift can suffice to cover the entire down payment. However, it varies depending on the lender. In other cases, a history of a month’s worth for any account from which downpayment funds are taken may be required. For instance, applicants may need to verify their savings or checking account as a source of a downpayment if there is no gift. Additionally, the borrower can use a 401k loan or liquidate investment accounts to make the payment. A good credit score can qualify the applicant for more houses in and a bigger payment. An applicant’s debt-to-income ratio reveals the borrower’s financial prudence. Hence, lenders factor the ratio to determine real estate taxes, loan, total mortgage payment, and homeowner’s insurance. The lender may issue a loan with up to 43% debt-to-income ratio as set by the recent federal legislation. Nonetheless, a ratio of less than 37% of the borrower’s income appeals to the lender too. The lender’s origination fee and vendor fees like title insurance, credit reporting fees, and appraisal consist of the closing costs. There may be instances in which the lender or seller pays some or all of the aforementioned expenses. However, it depends on the desire to close the deal and market strength. Conventional loans offer buyers low rates, thus they make buying a home more affordable. A borrower can choose a 5 or 7-year adjustable rate mortgage. Hence, they save thousands by having enough time to refinance into a fixed-rate loan, sell the home, or pay off the mortgage entirely. Overall, it is vital for applicants to shop around for conventional mortgages. They can find low rates if they search in the right shopping places. 3CALoan helps our customers check whether they are eligible for conventional loans in minutes. Our competitive rates, efficient services, and talented team can help ease the process of purchasing a home. We walk our customers through every step of the way. To find out more information about conventional loans and how we can help, contact us at (818) 322-5626.